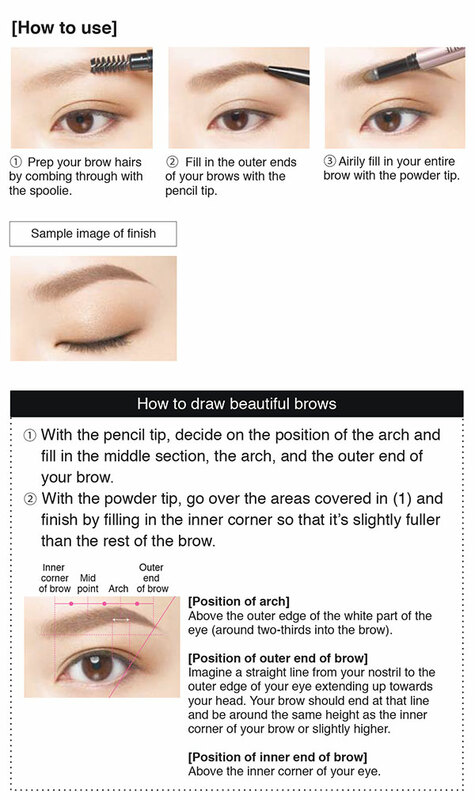 To achieve natural eyebrows, draw each eyebrow hair using thin lines; for a bolder look, draw a thick line in one stroke. The smudge-proof formula protects against tears, perspiration and rubbing, maintaining the just-applied look throughout the day. Natural Eyebrows that do not need blending in.